Good morning, did you tell God thank you for waking you up this morning? Did you say lord I love you? Thank you for protecting me and my family last night, when the enemy was out to steal kill and destroy. We must take the time to thank God for all things, do not let your busy day take away from giving God the glory for blessing you and your family. I know that the job can be draining, it is must to have a relationship with The Lord. Having Jesus in your life. Is a wonderful place. God is so awesome, He is the Fathers of all Fathers. He is the King of all Kings. You still got time to tell God you love Him. And thank him for His many blessings, he has done in your life. Most of all tell GOD THANK YOU FOR WAKING YOU UP THIS MORNING. Always tell GOD GOOD MORNING I LOVE YOU. 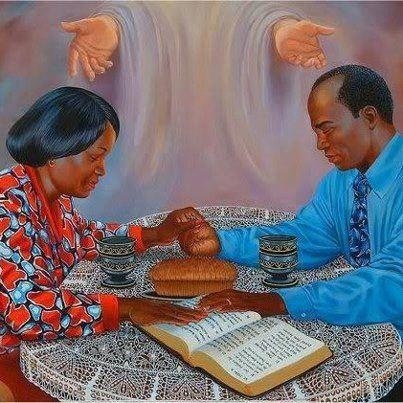 Remember to pray while you work. it will make your day, full of joy. And pray for others. Have a great day, and a wonderful week, Give God all the Glory! He is worthy of all our Praise! I would like permission to use your picture of the couple that is praying for our church banner. Why would my picture help?